The stem cell revolution is finally here, and it’s transforming modern medicine. Investors are flocking to this small-cap company with treatments for hair restoration, skin rejuvenation, and tendon repair. When we stumbled upon Replicel Life Sciences (OTCQB: REPCF and TSX.V:RP) it really caught our attention. The Company is far along on the development of several stem cell therapy products with one having successfully completed Phase I trials for treatment of baldness. Now you might think there’s not much to medical trials for hair loss and if you believe that, then your stock portfolio might be subject to its own pattern baldness over time. Cell therapy is the new buzz word in the medical arena with far more promise than traditional pharmaceuticals in trials, though both can make stocks trade like crazy. Cosmetics is a multi-billion-dollar industry and various products and treatments have come onto the market over the last ten years for both men and women. I’m sure Rogaine® is a name many of you have heard of before… When introduced to the market, Rogaine required a doctor’s prescription but now you can buy it over-the-counter and it’s still producing millions in sales. But cell therapy, such as that in clinical trials at Replicel Life Sciences, will be prescribed in a clinical setting, though that shouldn’t lower its impact on market demand. In fact, it could potentially have an even bigger impact than when Rogaine was introduced. REPCF is currently thinly traded. There are ONLY 18 million shares issued and outstanding and for a cell therapy medical company, that’s a REALLY TIGHT MARKET. REPCF traded as high as $1.45 back in January when RCH-01, the company’s product for the treatment of baldness, was in the middle of clinical trials. REPCF has since drifted lower, positioning it for another huge climb as new clinical trial data emerges over the next few months. Let me give you a simple explanation of how RCH-01 works. Technicians take healthy cells from your hair follicles and remove those cells that cause hair to grow. They’re then reproduced in a laboratory setting and injected back into your scalp. And there you are… your hair begins to regrow! Unlike traditional therapies for treating baldness, there were no adverse side effects in Replicel’s Clinical Phase I trials at all. That is one of the benefits of cell therapy, for the most part, as compared to competitive drugs currently on the market. So what’s the key to this unique approach to hair restoration? Replicel scientists made a crucial discovery. They found the dermal sheath of the hair follicle is an excellent source of fibroblasts, the cells in connective tissue that produce collagen. These cells are about five times more prolific than skin cells in their production of type 1 collagen, the major cell structure of skin and tendons. Collagen also plays a big part in renewing cells, and is responsible for maintaining the strength and elasticity of tendons and skin. Take a look at this video about RepliCel and their groundbreaking therapies. Now, here is where it gets even better… The cell therapy for hair rejuvenation is not their only product in development! In fact, REPCF is entering into Phase I trials for its Aging Skin Therapy (RCS-01) and Tendon Repair (RCT-01) THIS YEAR, while RCH-01 (baldness cell therapy) will be entering Phase II trials. Like the baldness product, RCS-01 and RCT-01 are both based on cell therapy! A TRIPLE HEADER!! 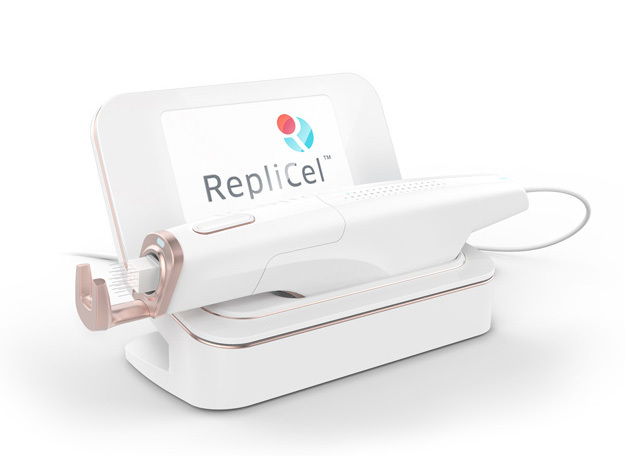 Replicel’s BREAKTHROUGH skin treatments are based not on repairing tissue, but regenerating it. This is truly a game-changer. Until now there has been no procedure that can actually regenerate new skin. If proven effective, this will be an extraordinary advancement for the cosmetic dermatology market. Take a look at the numbers. This market is big and only getting bigger. More than eight million facial aesthetics procedures are performed annually, with expected growth of 40% by next year. By itself, the dermal filler market totals more than $3.2 billion annually. Botulinum toxin fillers, marketed as Botox, accounts for more than $2 billion of that annual market, and is growing at 15.6% per year. To give you an idea of the stakes here, Botox alone helped propel Allergan Pharmaceuticals to be a multi-billion dollar company. A blockbuster merge with Pfizer in 2015 followed soon after, rewarding early investors with life-changing gains. An aging population, as well as a rising number of sports injuries, is driving major growth in orthopedics. The entire soft tissue repair market is expected to nearly double in the next seven years, growing by 88% by 2024. Once again, RepliCel offers an innovative solution to this fast expanding industry. Rather than repairing damaged tendons, their procedure extracts your own non-bulbar dermal sheath cells from hair follicles to initiate COLLAGEN PRODUCTION. Those cells are then used to regenerate NEW cells that are then placed into the damaged tendons. REPCF has also developed a Dermatology Injector Device that can be used on a wide range of applications, including cellular products, fillers, hyaluronic acids, fat and collagen injections… with plans already in place for marketing it! Think of the RCI-02 as being a free desert with your restaurant meal when it comes to add-on value to investors from a revenue perspective! Take into account the market’s reaction when the baldness cell therapy product entered into Phase I trials when the stock more-than doubled. 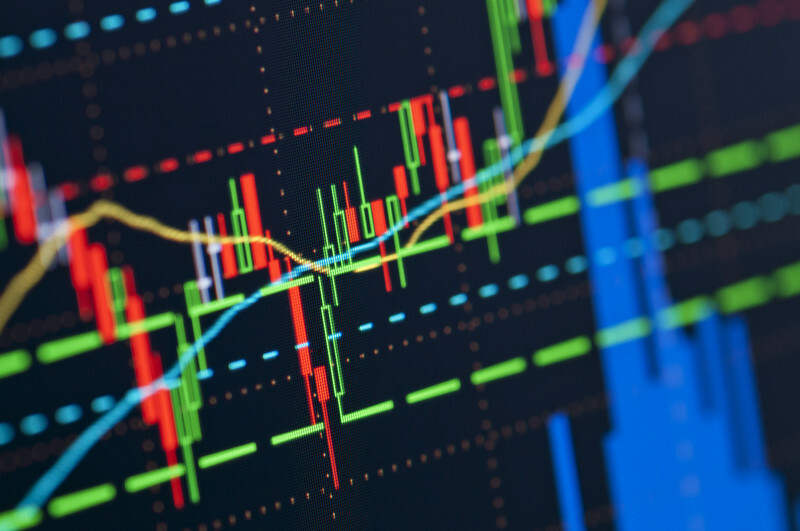 With three therapies advancing this year, investors could expect a SOLID POP in REPCF– perhaps more than once! So, is REPCF the next Biotech winner of 2017? Don’t let your stock portfolio suffer from pattern baldness – get into this biotech cell therapy stock while the get-n’s good!